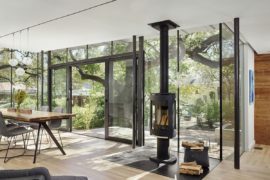 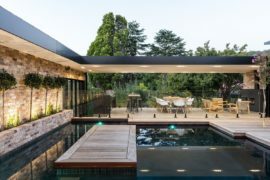 Some home renovations demand modern design solutions that replicate their existing style, while there are others that go beyond the mundane and present a truly fascinating and exceptional marriage of contrasting styles. 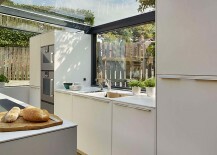 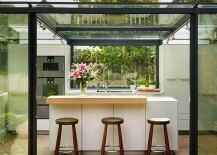 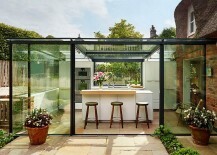 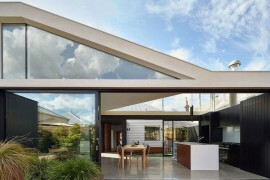 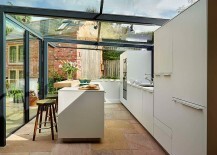 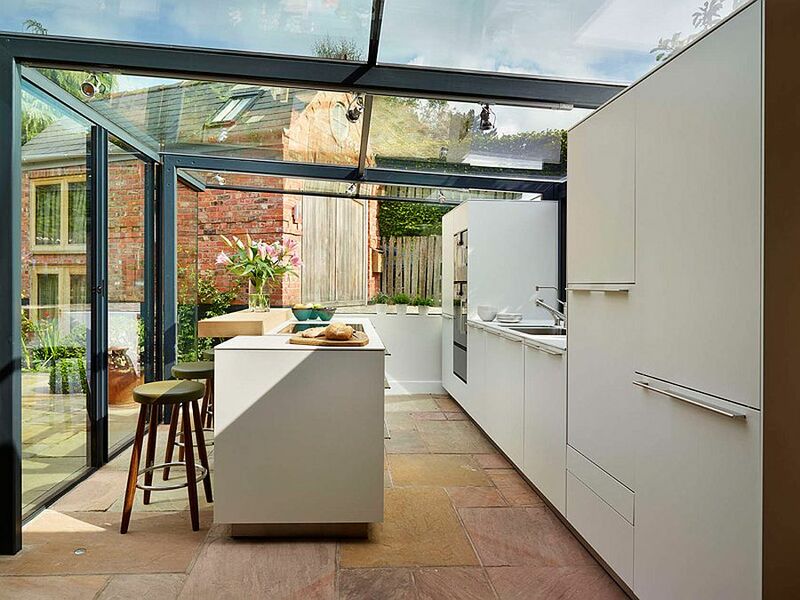 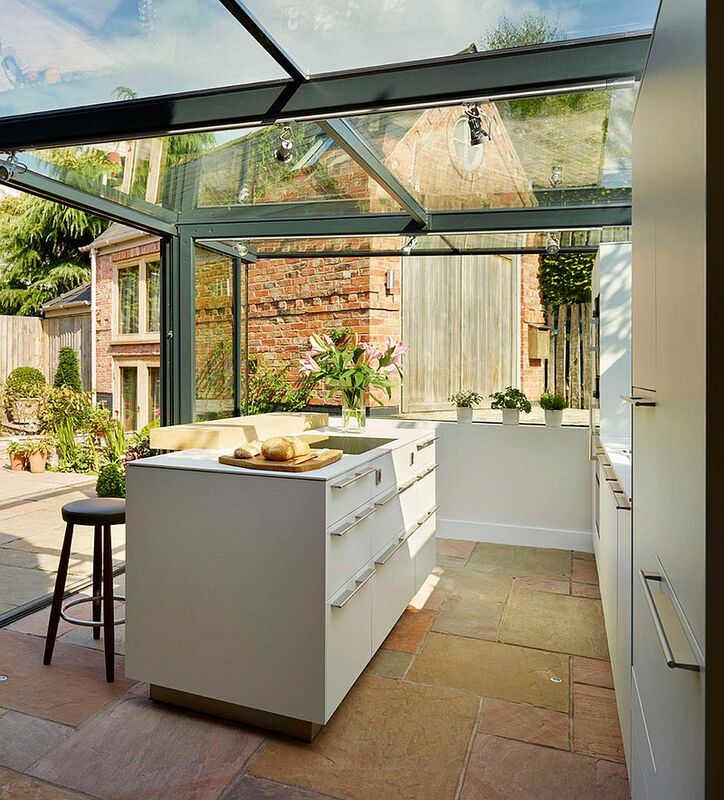 To call this all-glass kitchen designed by Alex Saint of Kitchen Architecture an ‘out-of-the-box’ solution seems apt, even if the answer to the architectural conundrum at hand is a gorgeous glass box. 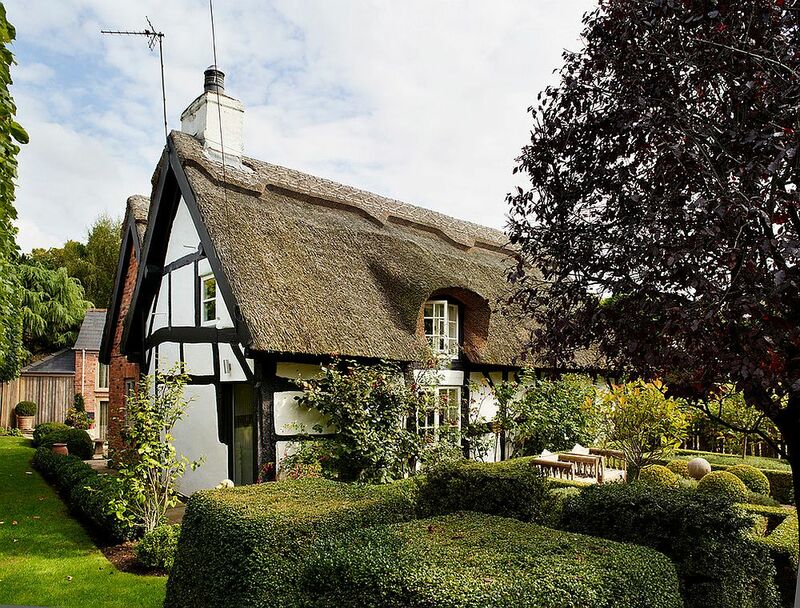 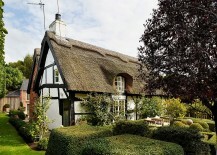 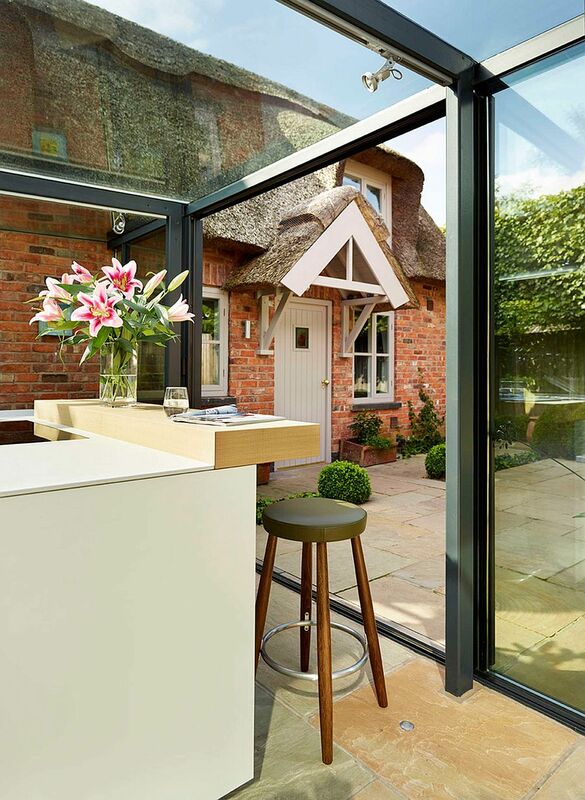 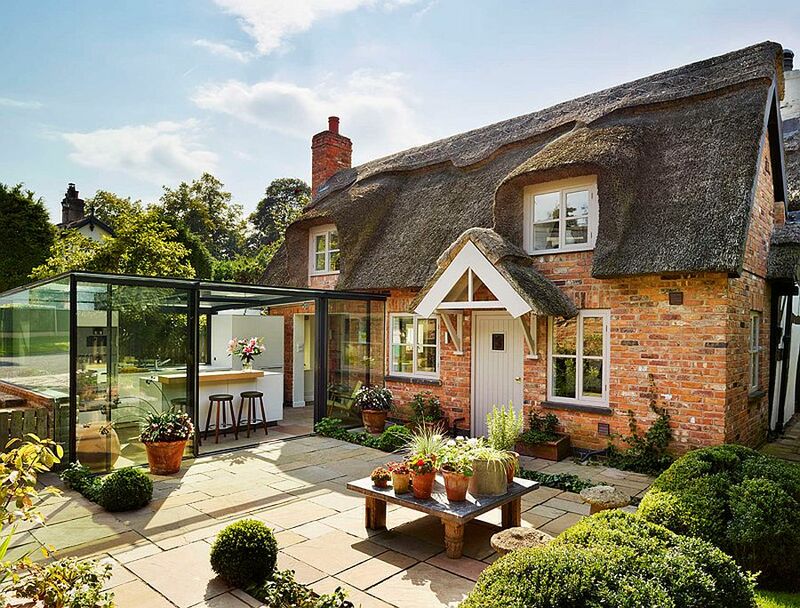 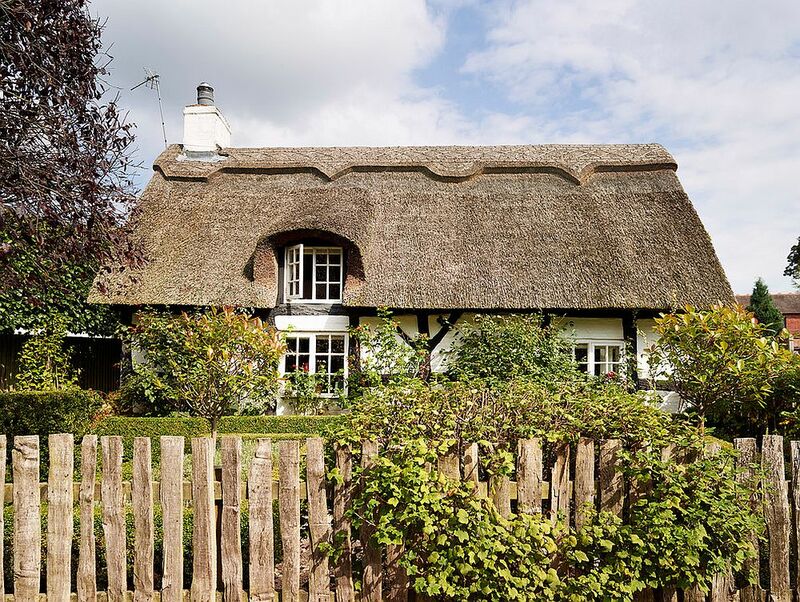 Conjured up and brought to life as a classy extension to an 18th-century thatched cottage in Cheshire, Knutsford, England, this brilliant kitchen looks surprisingly comfortable in an otherwise traditional setting. 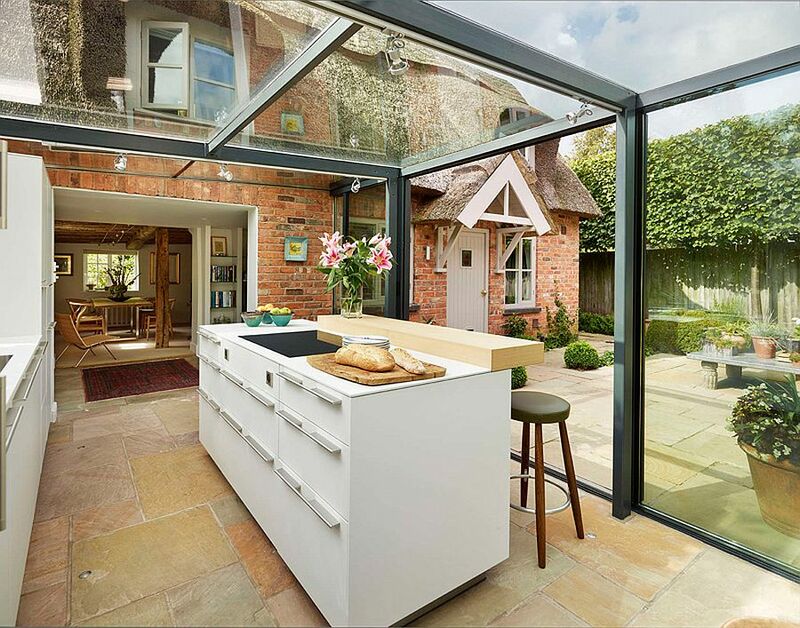 The idea of adding a new kitchen to the cottage started with the architect exploring ways in which he could replicate the original brickwork and style of the existing structure. 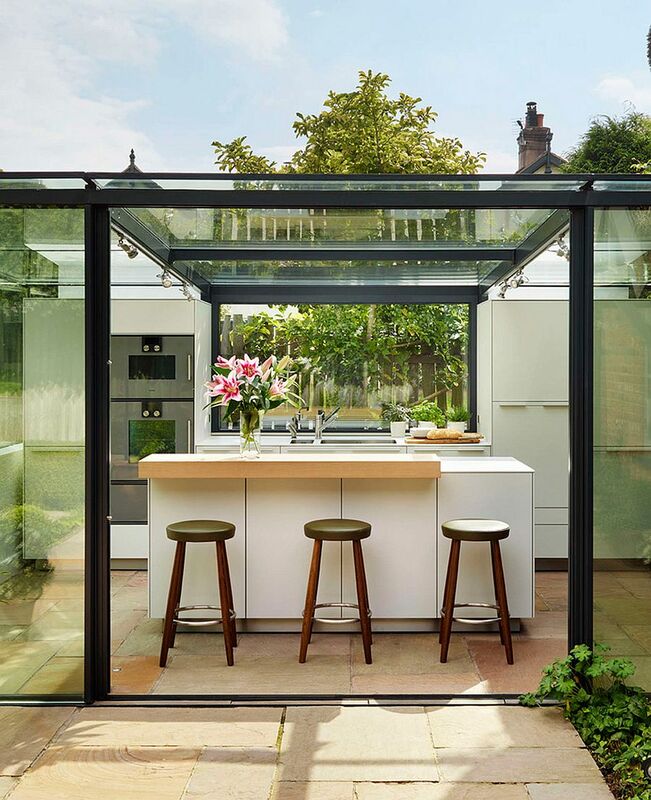 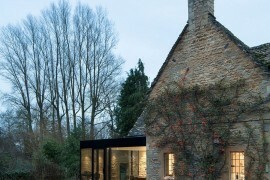 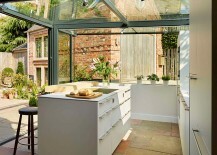 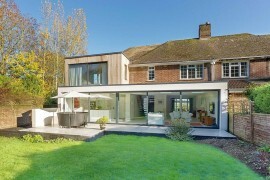 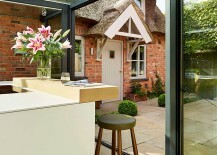 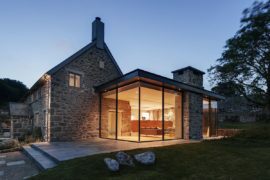 But in an attempt to find that ‘perfect’ extension that leads to minimal structural changes to the timeless cottage, the idea of a glass box kitchen came to the fore. 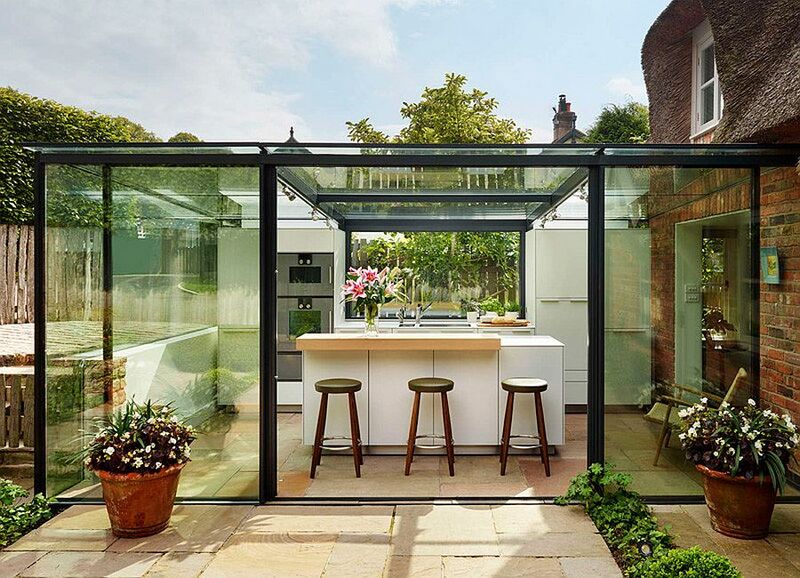 It is easy to see the charm of this fabulous contemporary kitchen, as it acts as a bridge between not just the interior and the backyard, but also bridges styles that are separated by several hundred years! 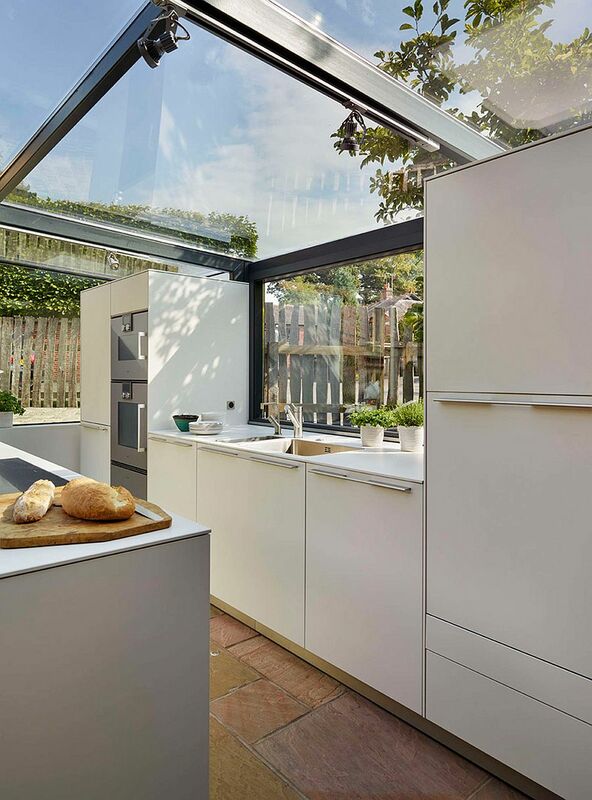 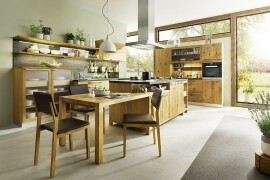 With a steel frame, a low supporting wall onto which the cabinets and workstation from bulthaup were fixed, and sliding glass doors, the new kitchen is a truly awesome setting that is both cheerful and functional. 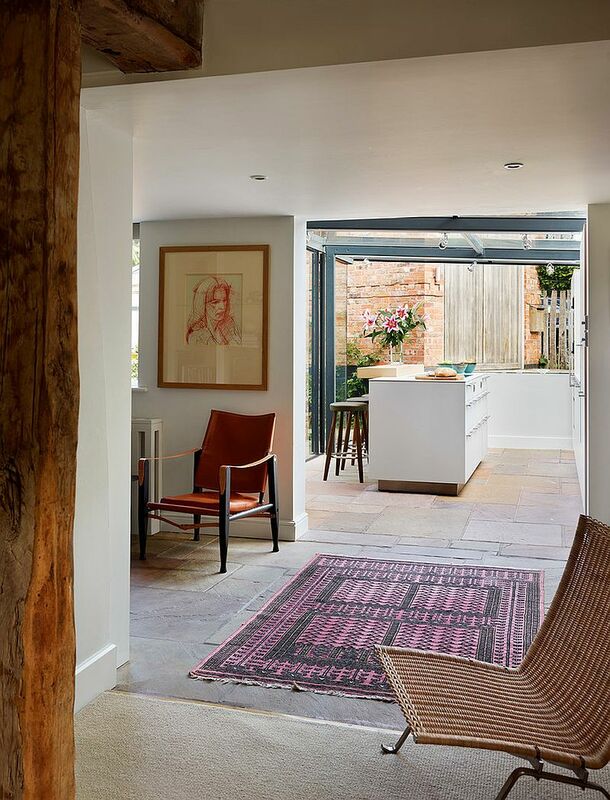 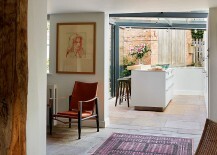 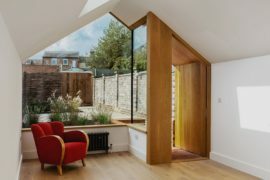 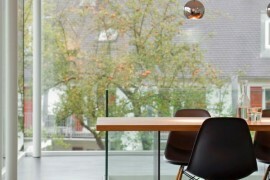 The old kitchen inside the home was transformed into a light-filled foyer that now leads the way to the kitchen, even as the double-glazed glass walls help in temperature control. 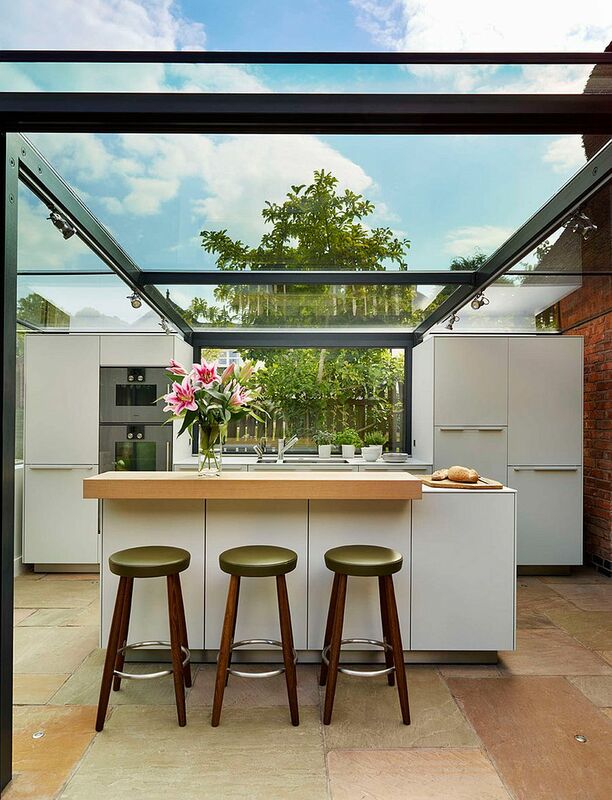 The cabinets, worktops and the kitchen island with a cool breakfast bar are draped in soft matte white to create a relaxed and elegant environment that lets the garden around it bring vivacious color.